Speaking Tree Orange Essential Oil is a 100% pure, natural and cold pressed and therapeutic oil that is very beneficial for fighting visible signs of aging such as fine lines, wrinkles and dark spots. Its natural production of collagen keeps skin plump and its antioxidant properties slows the rate of skin damage experienced from UV light exposure, pollution and toxins. 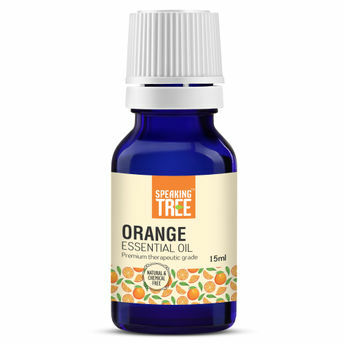 Alternatively, you can also find many more products from the Speaking Tree Orange Essential Oil range.